Each year, the outpouring of support from our local business community help us make the Ice Cream Social an even better fundraiser for PTO supported field trips, educational tools and enrichment activities to benefit Abbot students. Please help us thank these companies. If you shop there, tell the manager you appreciate them supporting the Abbot PTO. If the business has a social media page, like or follow that page, or leave them a comment to say thank you. 2015 Abbot Ice Cream Social is June 5! Paws, the Detroit Tigers’ mascot, will be back for our 2015 Abbot Elementary School Ice Cream Social and he’s just the opening act! We will also have Keith Hafner and his students doing karate demos and Maurice Archer, Rec and Ed's breakdance instructor, performing. There are new games this year, too, and a special bounce house just for kids 6 years of age and younger. 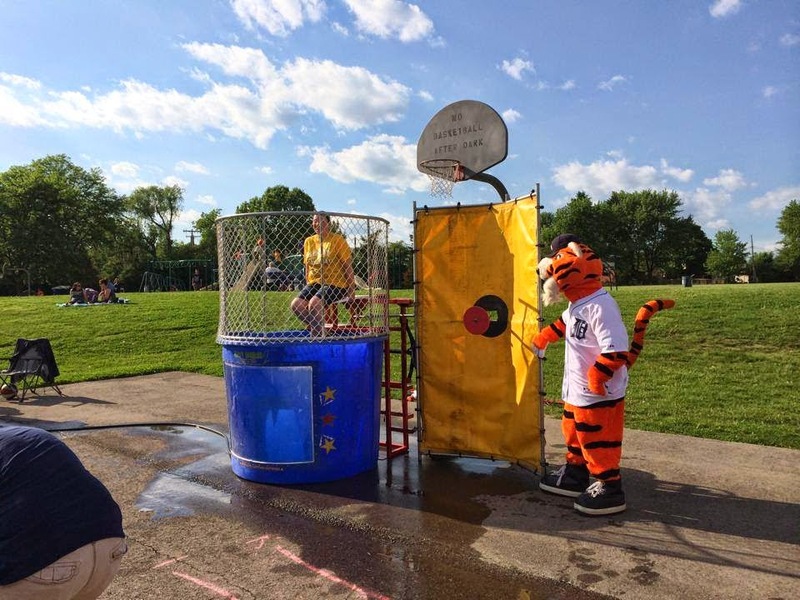 In addition, there are perennial favorites like the raffle, the cake decorating contest, the cake walk, face painting, glitter tattoos and of course the teacher dunk tank. “We are so excited about this year’s social and hope that everyone in our Abbot community can come,” says Molly Mason, this year’s Ice Cream Social chair. Raffle tickets, event tickets, and unlimited bounce house wrist bands are available during our pre-sale (3:15 to 4:15 p.m. each day between Tuesday, June 2 and Thursday, June 4 at Abbot) and at the event. Event tickets are 50 cents each and raffle tickets are $1 each. (Raffle Ticket Discount: Buy 5 and get an extra raffle ticket for free!) Unlimited bounce house wrist bands are $15 for children 7 years or older, $10 for children 6 years or younger. This year, the Ice Cream Social takes place on June 5 from 5:30 to 8 p.m.